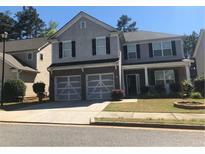 Below you can view all the homes for sale in the Blue Springs Station subdivision located in Kennesaw Georgia. Listings in Blue Springs Station are updated daily from data we receive from the Atlanta multiple listing service. To learn more about any of these homes or to receive custom notifications when a new property is listed for sale in Blue Springs Station, give us a call at 404-998-4102. Dual Vanities, Trey Ceiling, His And Her Walk In Closets. MLS#6537822. Georgia Realty Brokers International Corporation. Full Lower Level Bed/Bath/Office & Fireside Den MLS#6537183. Re/Max Around Atlanta Realty. 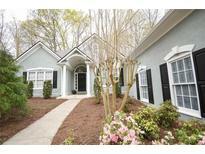 Close To Shopping, Restaurants, Medical, Downtown Acworth And Lake Allatoona. MLS#6531761. Atlanta Communities. Don'T Miss Out On This Gem! MLS#6531003. Ambassador Realty, Inc.. Owner Will Convert The Office Back Into A Garage If The Buyer Wants Him To. MLS#6504344. Keller Williams Realty Cityside. Very Close To Shopping, Food, And Schools. MLS#6107888. Century 21 Connect Realty.